← Utah trip–the first family wedding. Seventeen-year-old Annika Truman knows about the power of positive thinking. With a little brother who has cancer, it’s all she ever hears about. And in order to help Jeremy, she will go to the ends of the earth (or at least as far as Hollywood) to help him believe he can survive his upcoming surgery. But Annika’s plan to convince Jeremy that a magic genie will grant him any wish throws her a curveball when he unexpectedly wishes that his television idol would visit him. Annika suddenly finds herself in the desperate predicament of getting access to a hunky star actor and convincing him to come home with her. Piece of cake, right? 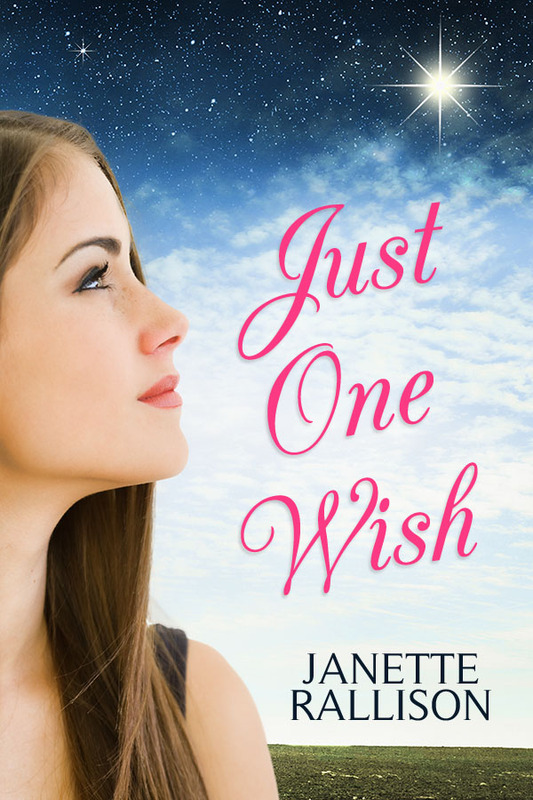 Janette Rallison’s proven talent for laugh-out-loud humor, teen romance, and deep-hearted storytelling shines in a novel that will have readers laughing and crying at the same time. 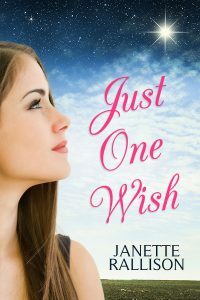 I have read “Just One Wish” too many times to count! I LOVE it! Every time I read it there are parts that make me laugh and cry, even though I know what is going to happen… It is one of my all time favorite books!! I would love to read a sequel to it (wink wink), and I would definitely go see a movie in theaters as many times as I could (if they make it as good as you wrote it, of course)!! Love your books so much!! Glad you liked it! Maybe someday I’ll get around to writing more in the story. I would also love a sequel. That would make me and so many other people incredibly happy. And every time I’ve read this book I always picture it as a movie on Disney Channel. Anyway, thank you so much for writing this book, it has helped me get through difficult times. God bless! Glad I could help! I wrote it reflecting on how I’ve felt about my mother dying. I think it would make an awesome movie! I forgot, did Jeremy’s surgery work? Um, not so much. Sorry. for my 17 year-old daughter who recently lost a friend to cancer. I really loved this book!!!!!! It practilly is probley my new favriote book!! I wish you could make a squel of it. Or a movie. I am a new biggest fan of yours Ms. Janette. I love your books ever since I read Just One Wish You became my favirote auther and I love to read! Any ways please answer this question how did u come up with an idea for this amazing book? Glad you liked it! I hope you like my other books too! There are only a few books that make me feel happy and warm inside and this is DEFINITELY one of them. I absolutely loved this book. It’s probably my favorite book so far, and a sequel would be awesome! Glad you like it! You are clearly brilliant and have great literary taste!